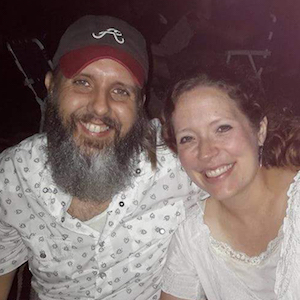 In the small church where he was pastoring, just outside the Talladega National Forest in Amanda’s sweet home Alabama, Jon Mark and Amanda joined their lives in marriage in the blazing August heat of 1999. They have been on an adventure following and serving the Lord as a family ever since! An Arkansas native born in Little Rock with roots in Bryant and Hot Springs, Jon Mark has spent most of his life outside the state due to his father’s job that moved the family away when he was young. He felt passionate about serving the Lord as a teenager and was open to what exactly that might mean in terms of a call to ministry. While still in college, the couple began pursuing their call to international missions by beginning conversations with the IMB. After earning their undergraduate degrees, his in psychology and hers in nursing, they moved to New Orleans where Jon Mark went to seminary and studied church planting with an international focus. Hurricane Katrina evicted them from the Big Easy sooner than planned and they were appointed as IMB missionaries to SE Asia the very next month in September, 2005. While in SE Asia using agriculture and more specifically goat farming to build bridges, the Pages saw the Lord do some amazing things through the reproducible house churches there. Three kids and almost 10 incredible years later, they began sensing the Lord leading them back to the U.S. to come alongside the church in reaching out to a generation of Americans that increasingly see the church as irrelevant. While on stateside assignment in Arkadelphia, through a divine appointment, Jon Mark met a local pastor with a heart and vision for reaching segments of this unique town and surrounding communities with the Gospel. They began meeting and praying together and with the help of Dave McClung from the ABSC the vision for the Luke 14 Project was born. In January 2016, Jon Mark became the Pastor of Missions and Discipleship at Park Hill Baptist Church with a focus on planting New Testament-type house churches. “We believe that America is at a place where churches need to begin having a missionary mindset to reach out to those with little to no church affiliation." The Luke 14 Project is based on Luke 14:21b-23. Jesus tells the Parable of the Wedding Feast and tells the servant to go out into the streets and alleys and roads and country lanes and invite people to the wedding feast that his table might be full. At Park Hill we believe we are God’s servant and that there are many in our outlying communities who are unaware of the banquet. The Luke 14 Project (L14P) is a plan to reach those communities using a reproducible house church model by partnering with Park Hill Baptist Church and the Arkansas Baptist State Convention. The communities of people being targeted by L14P are the unreached, unchurched communities of Arkadelphia and surrounding Clark County. We believe that in our city and surrounding county there are increasingly more people who have little to no affiliation or connection with traditional church (i.e. attending services or espousing similar values). This is evidenced by little to no growth in many traditional churches and a decline/plateau in baptisms. It is also our belief that many in our city would not consider attending a traditional church. The goal of L14P is to go where they are and plant reproducible house churches in each one of these segments with the vision of a house church in every neighborhood or district of Arkadelphia and surrounding Clark County by 2026. For members of Park Hill as they are trained in reproducible house church strategy beginning in February 2016 and that members would catch the vision of L14P. For passion among believers at Park Hill to reach those in Arkadelphia and surrounding Clark County who don’t know Jesus. For church planter teams and Life Groups to connect with unchurched background persons of peace from our community. Volunteer teams could be utilized to assist with our quarterly EV events and/or prayer walking. Another way to be a part of L14P would be to help with backyard Bible clubs, block parties, BBQs, free health clinics, etc. to connect with unchurched background of our community. We plan on hosting these quarterly.